Cetaphil Daily Advance Ultra Hydrating Lotion for dry to very dry skin, this luxurious lotion is specially formulated to provide everyday intense moisture for dry, sensitive skin. Clinically proven to hydrate and protect dry skin for 24 hours. It is non greasy, fragrance free and non comedogenic. It contains epidermal replenishing complex 5, a unique combination of 5 key ingredients that protects dry skin and enhances hydration. Leaves your body feeling soft, hydrated and smooth. Water, glycerin, hydrogenated Polyisobutene, cetearyl alcohol, cetearath-20, Butyrospermum parkii butter (Shea butter), Macadamia integrifolia seed oil (macadamia nut oil), Cuclopentasiloxane, Tocopheryl acetate, Sodium PCA, Phenoxyethanol, Benzyl Alcohol, Dimethiconol, Sodium polyacrylate, Panthenol, Stearoxytrimethylsilane, Stearyl Alcohol, Acrylates/C10-30 Alkylacrylate crosspolymer, Trimethyl Dodecatrienol, citric acid, sodium hydroxide. 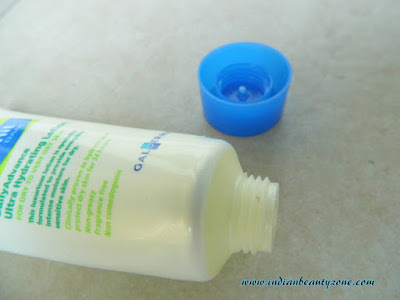 The lotion comes in a white tube with a blue screw open lid. The package looks bit shiny and it is not a pure white. It is travel and user friendly. The colour of the lotion is white and its texture is not like a lotion rather it looks like a cream. It has no smell or have mild chemical smell. I have not used it until I got those ugly dry patches on my cheeks and nose. The lotion is light weight in texture and easily blends into the skin quickly. 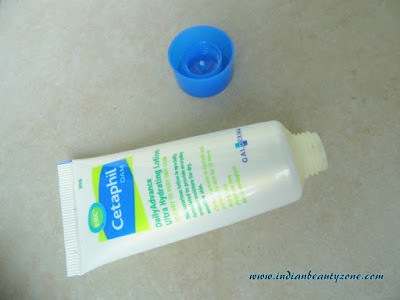 It makes the skin smooth and soft immediately after applying. It doesn't makes the skin neither oily nor matte. The texture is non greasy, so it didn't make the skin dull. 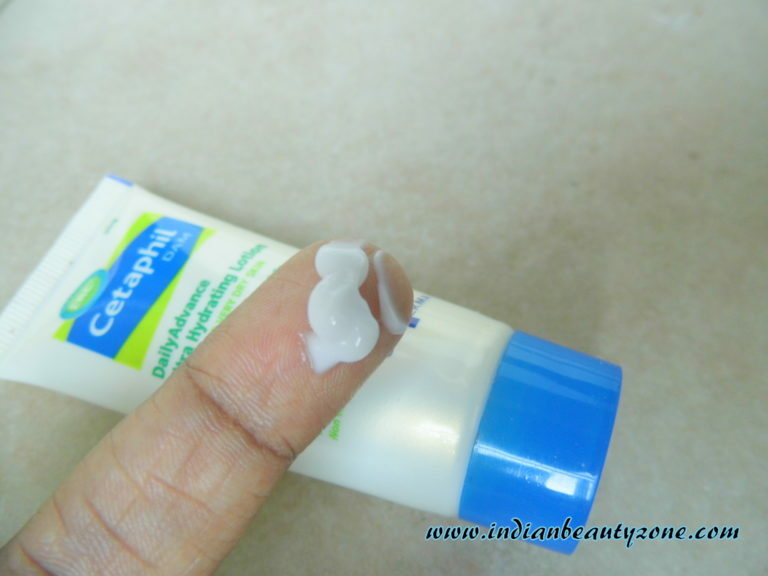 The lotion cured my cheeks dry patches after 3 days of continuous usage (twice a day). In my opinion this lotion is purely made for dry to very dry skin people and this help you if you suffer by dry skin due to seasonal changes like mine. Otherwise it is not adviceable to use it all the time unless you have dry skin. It is best suitable for dry sensitive skin also aged people who is suffering by dry scaly skin. It is also for body skin too, but I feel if one use it for body skin aswell you must spend more money than the normal body lotion. Available in small size to try. Easily gets absorbed into the skin. Didn’t makes the skin oily. 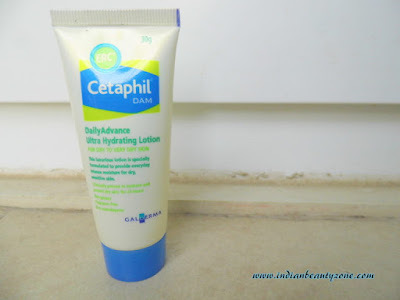 Best suitable for sensitive dry skin. Can be used as night cream. If you want to use it regularly it might cost more. 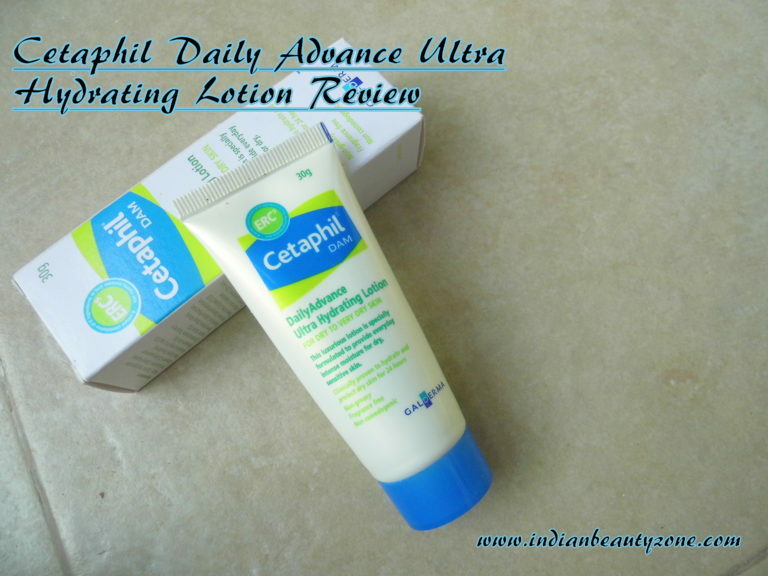 Cetaphil Daily Advance Ultra Hydrating Lotion for dry to Extra Dry Skin is the best choice for those who suffer from dry skin continuously or by seasonal changes. It makes skin soft and supple. Especially it will be a good choice for elder people.